Advanced Computer Science Principles is a high school level course introducing students to foundational concepts of computer science and programming while exploring how technology impacts the world. Across a full year of instruction, this course will expose students to seven “Big Ideas” foundational to studying computer science and six “Computational Thinking” practices that computer scientists engage in during real-world work. Categories: Science/Computer Science, Teen Focus, Advanced, Spring 2018, Spring 2019. Tag: Standard Semester. 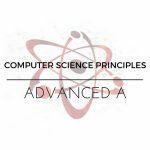 Advanced Computer Science Principles is a high school level course introducing students to foundational concepts of computer science and programming while exploring how technology impacts the world. Advanced CS Principles B, the second semester of a year-long course, uses a narrative arc to help students construct an understanding of computer science concepts as preparation for life and work in an increasingly digital and connected world and culture. Across a full year of instruction, this course will expose students to seven “Big Ideas” foundational to studying computer science and six “Computational Thinking” practices that computer scientists engage in during real-world work. 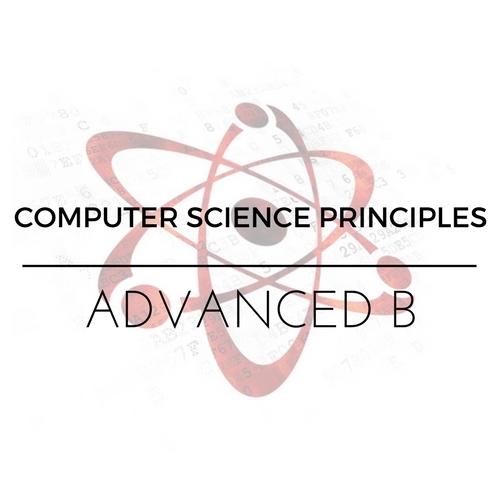 The Advanced CS Principles course is adapted from materials designed by The College Board, and will use a curriculum and programming/activity platform, “Code Studio,” created and maintained by Code.org. Code.org videos are provided to students for free by Code.org (https://www.youtube.com/user/CodeOrg). The curriculum itself is distributed and used under a Creative Commons License. 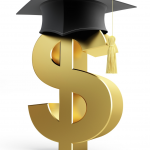 This is a 16-week class for teens working at an advanced high school level. Weekly webinars are 50 minutes long. Recordings are available for students who must miss a session. Aimed at students ready for work appropriate to grades 11 through 12. This is an upper high school course open to students ages 12 and up who are looking to learn the fundamentals of both computer science and programming at an accelerated pace. Most students report spending approximately 4 – 5 hours per week on homework outside of the webinar. Much of that time will be spent exploring and programming in Code Studio (on code.org). Advanced Computer Science Principles A or equivalent. Students must also be able to write multi-paragraph texts independently and participate actively in written discussion forums and webinars.